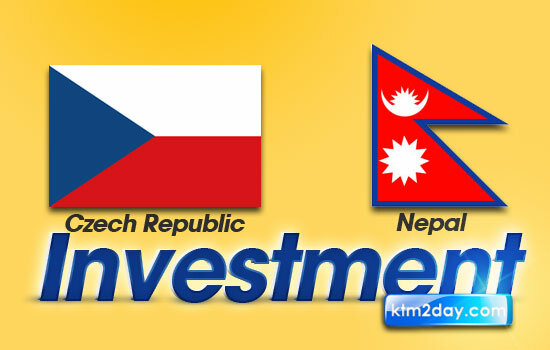 Czech Republic has expressed its interest to invest in the Nepalese hydropower, infrastructure, tourism and civil aviation sectors. Speaking at an interaction in the Capital on Monday organized by the Confederation of Nepalese Industries (CNI), Ambassador of Czech Republic to Nepal Miloslav Stasek said that his government was willing to extend its bilateral economic cooperation to Nepal. He also suggested that Nepal should be able to take benefits of its position between the two growing economies– China and India. “There is huge potential of expanding Nepal’s export trade given its geo-political proximity with India and China,” he said. He assured that the government of Czech Republic was ready to work with the government of Nepal and private sector in various economic and political sectors. Narendra Kumar Basnyat, Acting President of the Confederation of Nepalese Industries (CNI), said that the time had come to gear up the bilateral economic relations between the two friendly nations. He informed that the two private sector institutions were going to sign a Memorandum of Understanding (MoU) for further enhancing the bilateral trade of Nepal and the Czech Republic. Presently, Nepal has been importing various products such as glass beads, cars, and machinery for textiles/print, electrical, fertilizers, pharmaceutical, live poultry of worth around US$3.66 million from Czech Republic annually while it exports garments, readymade garments, and medicines worth around US$ 1.593 million per year.